The crisis in Kaduna State chapter of the All Progressives Congress (APC) which culminated in the demolition of the factional secretariat of the party by the state government has further put a dent to the efforts by President Muhammadu Buhari to bring aggrieved members of the party on the same page ahead of the 2019 elections. A member of the party’s National Working Committee (NWC), who spoke with DAILY INDEPENDENT on Wednesday said the presidency is displeased with the actions taken by Governor Nasir el-Rufai which it believes will further worsen the APC crisis and make the work of the reconciliation panel headed by Asiwaju Bola Tinubu more difficult, if not an impossible one. He added that the presidency believes that as someone who is regarded as one of the key loyalists of President Buhari, el-Rufai should not be seen as “a clog in the wheel of progress and developments of the party especially in Kaduna, the residence of the president”. 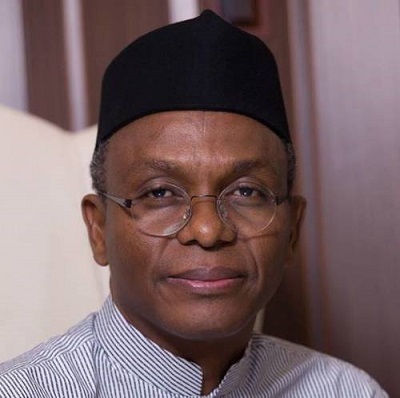 A source said the presidency is particularly peeved that while el-Rufai, who was persuaded to contest for the governorship position of Kaduna State by President Buhari may not bother about seeking or winning reelection, he should consider the interest of the president who will soon announce his intention to seek another four-year mandate. He also added that just like it did in the case between Governor Umar Ganduje of Kano State and his predecessor, Senator Rabiu Kwankwaso, the presidency may summon the warring parties to Aso Villa with a view to finding a lasting solution to the crisis. “As a member of this party, I must tell you that the presidency is unhappy with what is happening in Kaduna State and what they perceived as the insensitiveness of the state governor towards handling the issues he has with his rivals in Kaduna State. “The president has a reason for setting up the reconciliation committee headed by Asiwaju Tinubu. Given what has happened in the past, many thought the former Lagos governor will reject it but he accepted to undertake the task in the interest of the party and respect for the president. He has already set the ball in motion and is already meeting with the affected stakeholders and we are seeing the positive results. “We expect Governor el-Rufai to have done the same no matter how provoked he may be. Yesterday’s (Tuesday) action has further widened the gulf between stakeholders in the Kaduna APC family and it will be extremely difficult for the Tinubu committee to bring them on the same page. “The issue has gone beyond Kaduna State. Don’t forget that the National Assembly has already waded into the matter. Before you know it, this may mar all the progress we have made so far and the election is already here. “Here is a man who never showed interest in becoming the governor of Kaduna State. The president convinced him to run and to demonstrate his commitment, he went to Kaduna and raised his hands. Recently, the governor also said the president has endorsed his bid for another term. We expect him to also support the president’s reelection bid too not just by words but through actions. “While he may have his genuine reasons for pulling down the structure, they believe he should have exercised some restraint as such actions will not only exacerbate the crisis, but it may also affect the fortunes of the party in the state”, he said.